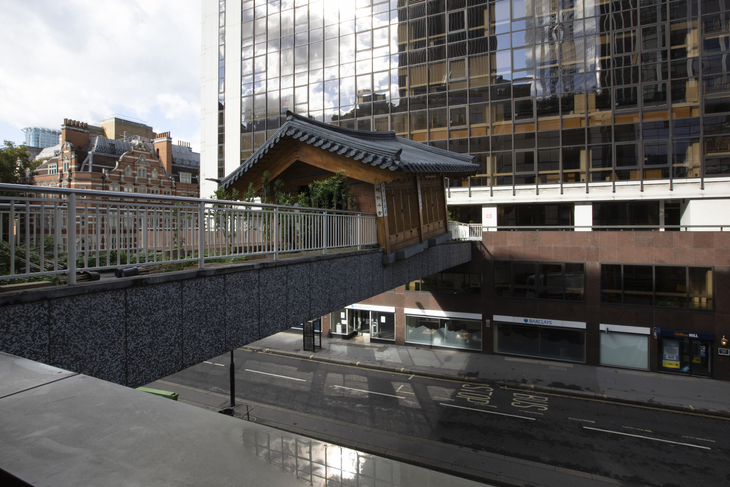 A pedway above busy Wormwood Street has received a remarkable addition: a traditional Korean home, complete with a bamboo garden. 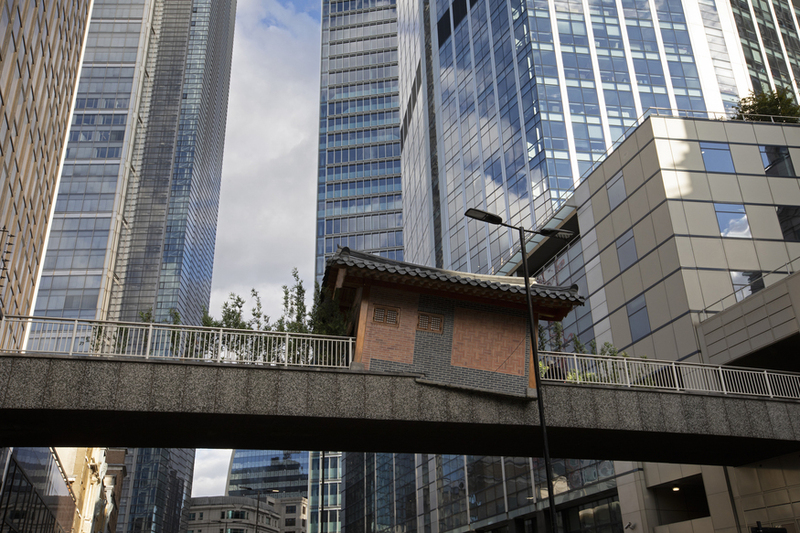 No, this didn't fall from the sky — although believing that is part of the piece's desired effect — but is the work of Do Ho Suh, who some might remember from his exhibition at Victoria Miro a few years ago. The installation is part of Art Night and Sculpture in the City, who gave the artist a brief of responding to the migrant history of the East End and the City of London. The house is based on Suh's childhood home and reflects his own experience of moving between continents.